My Top 4 Eyeshadow Crayons! A recent favourite beauty product of mine has been Eyeshadow Crayons. They are undoubtedly the most fool proof way of achieving gorgeous colour on eyelids, you just swipe and go and they are blendable with each other and with eyeshadows too. You can add definition to the lash line, or blend out over the lid, with fingers or a dense brush – and the best part is that they are so easy to master that even I can figure out how to create the perfect smokey eye with them! I find crayons to be much longer lasting than shadows and the dainty size of them make them ideal for popping in travel beauty bags or in your gym bag. 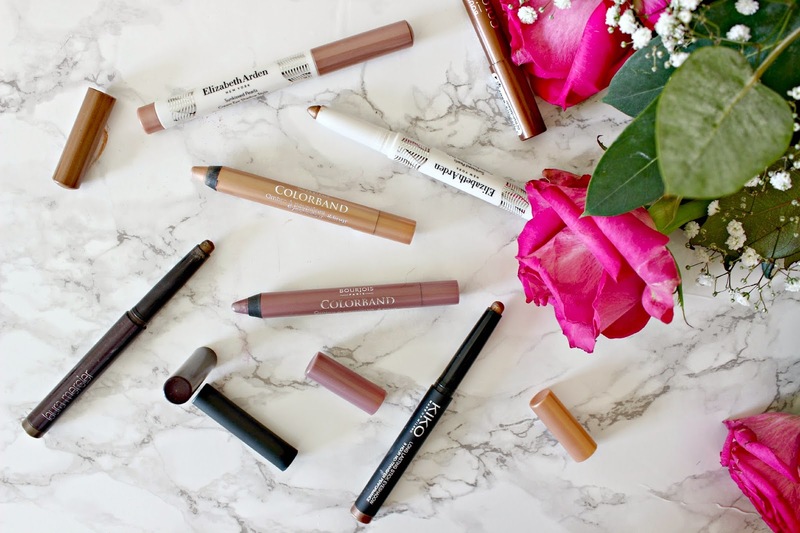 As well as some from luxe brands, I’ve been trying some drug store alternatives and have to say that the cheaper options have ‘wowed’ me just as much as the more pricey crayons. For the beauty of their colour options, the Elizabeth Arden Cream Eye Shadow Stylos have won my heart for the best luxe eyeshadow crayons, the pearly shades include this pink ‘freshwater pearl’ shade which gives a beautiful bright sheen to eyelids and I’ve also been using it to smudge over the lower lash line to give a really bright ‘awake’ kind of look. For a bolder eye look, their bronze pearl style is stunning for hazel eyes – I have only recently discovered bronzey hues on my eyes and it’s quickly taken over as my favourite evening eye look. Another luxe option to be highly commended is the Laura Mercier Caviar Stick – I had this in my makeup bag for over a year and never really experimented with it until recently, but have been adding this in to a smokey eye look. It’s got super lasting power and doesn’t crease up even after hours of wear. 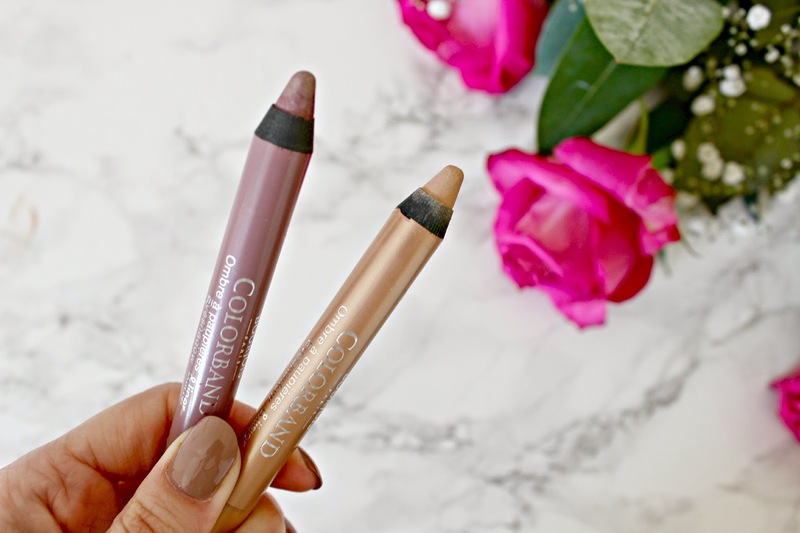 On the high street, the Bourjois Colourband sticks have impressed me very very much indeed! Firstly, the price. at £5.99 they’re an absolute bargain, so much so that it took all my willpower not to stock up on all 6 shades, They are designed like a chunky eyeliner (only negative being that they have to be sharpened) but the variety of shades has to be the most people-pleasing selection of all the high street offerings. I chose shades similar to my Arden picks, a pink and a bronzey shade, both of which create a subtle shimmering wash of colour and stay put just as long. You have to be speedy when applying as they dry and set in a way that shadow doesn’t, but as long as you complete one eye at a time, you should be safe. Another budget favourite is the KIKO eyeshadow crayon – I picked this one up in my Glossybox and have been so impressed with the gorgeous colour payoff. 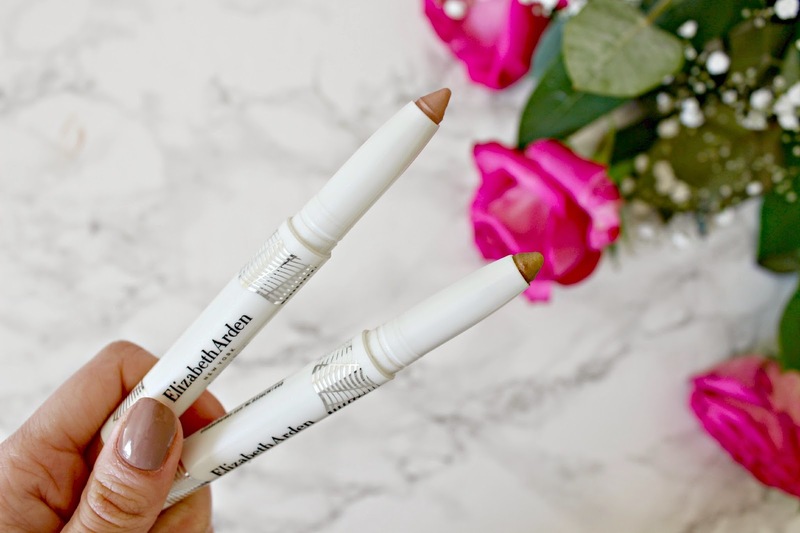 It is less than £6 to buy but has all the characteristics of a more expensive eye crayon – beautiful colour, creamy consistency, long lasting and its roll up instead of being in a sharpenable pencil! Have you tried any eyeshadow crayons?